A warm and welcoming Deer Run condo with private hot tub in Big Sky's Meadow Village is ready to be your mountain getaway! This spacious three-bedroom and two-bathroom end unit sleeps 8 comfortably, and has beautiful views overlooking the meadow and canyon. Comfort awaits you, including a master suite with a king-sized bed, main level bedroom with a queen-sized bed, and the lower level bedroom with two twin-sized beds. The upper level also features a loft with a sofa-sleeper. Relax after a day on the mountain in your own private hot tub or in front of the condo's wood fireplace. Cook a delicious meal in the well-equipped kitchen stocked with a Keurig coffee maker, crock pot, toaster, complete dish/glassware/silverware, stemware, and collection of nonstick pots! Don't feel like staying in? Just 10-minute walk to Big Sky Town Center which offers numerous shops, restaurants, free concerts in the park, movie theaters, farmers market and much more. Continue on a short drive or free shuttle to Big Sky Resort for skiing, snowboarding, shopping, restaurants, hiking trails, mountain bike trails, lake, spa, and zip lining. Enjoy Yellowstone National Park, white water rafting, Big Sky golf course, mountain biking, zip lining, hiking, horseback riding or just chill in the mountains of southwest Montana. The best part about this condo is its’ location! From here you have ultimate access to Big Sky Town Center! You’re also just a short drive away from the town center and Big Sky Resort that has tons of fantastic shops, restaurants, and bars. Yellowstone National Park is a 50-minute drive away as well, so there’s always something new to explore! 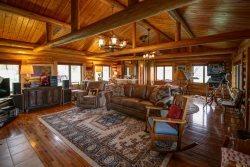 - Outstanding location – .25 miles to Big Sky Town Center, 6.5 miles to Big Sky Resort, 51 miles to West Yellowstone Entrance. We were in Big Sky for the Classical Music Festival and had an amazing time at this condo. The kitchen was very well equipped and the beds were wonderful. Would gladly return. Great location with easy access to mountain and right by the center of the village. Very clean on arrival and had everything you would need. Good bed arrangement with real beds not layawaya as often happens! Only one negative...too many emails advertising services in the area. Absolutely loved the property. We will rent it again! Great time and great place... Thank you for everything! Everything was great: great host; great place; great location -- all made for a great trip. Clean, Comfortable, Cozy & Totally Complete! We were pleased with our stay. The place was very clean and ideally located overlooking the Meadow Village. We were especially appreciative of the property manager, Caroline. She was polite, professional and available for our special needs. The wood burning fire place & hot tub were highlights after long ski days. Thank you for sharing your vacation home! Well kept Condo with great view of the valley. walk down a hill and you are in town. Clean hot tub and a nice kitchen. Great ski vacation condo. Your place is well equipped and very comfortable. We had a blast - thank you! Team members were very friendly and helpful in organizing our stay in Big Sky. They went out of their way to make out stay enjoyable. Our stay was perfect! All we needed was food and personal items. Everything else was available in the condo. We spent quite a bit of time there due to winter weather and were very comfortable. Also celebrated Christmas there! Deer Run will definitely be our first choice the next time we stay in Big Sky.